Aromatherapy for animals involves the use of essential oils and can be highly effective in the healing of physical, behavioural and emotional issues. It works in a gentle, non-invasive, and holistic manner to help provide total health for your animal. Our essential oils are chosen according to their healing properties and energy. 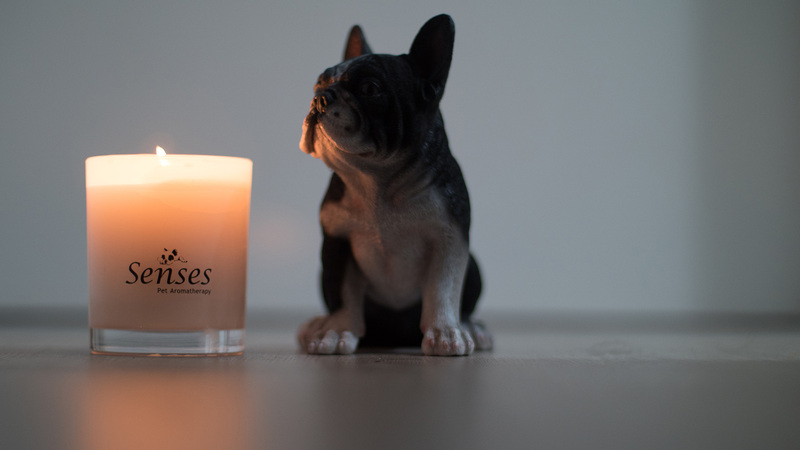 Blended with the respect to the fragility of the olfactory senses, this makes our candles safe for your pet. you’ll love the emotional balance, energy and overall sense of wellbeing it will bring to you and your best friend. A big part of understanding your dog is understanding its senses and accepting that they are indeed different than humans. While a dog's brain is only one-tenth the size of a human brain, the part that controls smell is 40 times larger than in humans. A dog’s sense of smell is about 1,000 to 10,000,000 times more sensitive than a human’s (depending on the breed). A human has about 5 million scent glands, compared to a dog, who has anywhere from 125 million to 300 million (depending on the breed). 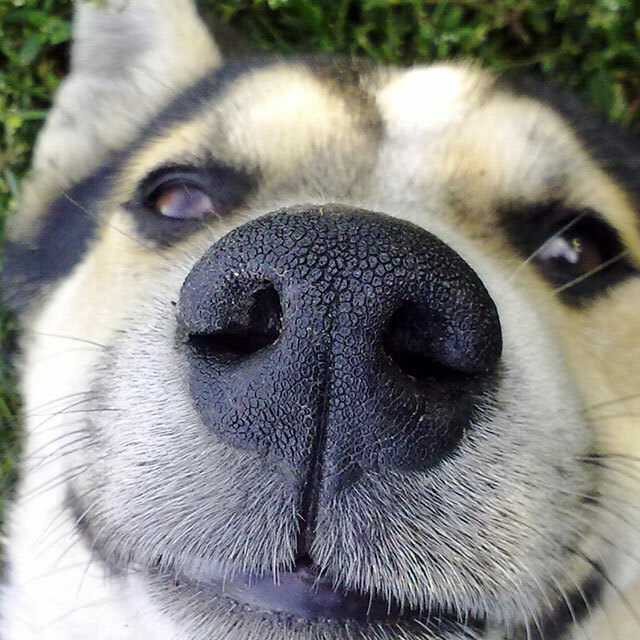 To gain more respect for your dog’s olfactory ability, compare it to a person’s nose. Inside the nose of both species are bony scroll-shaped plates, called turbinates, over which air passes. A microscopic view of this organ reveals a thick, spongy membrane that contains most of the scent-detecting cells, as well as the nerves that transport information to the brain. In humans, the area containing these odor analyzers is about one square inch, or the size of a postage stamp. If you could unfold this area in a dog, on the other hand, it may be as large as 60 square inches, or just under the size of a piece of typing paper. Though the size of this surface varies with the size and length of the dog’s nose, even flat-nosed breeds can detect smells far better than people. With the widespread availability of so many “aromatherapy” products on the market, it has become exceedingly difficult for the average person to understand what is and what is not true aromatherapy. A stroll through a pharmacy will reveal many products labelled as “aromatherapy” – everything from peach candles to grape lipstick, mango shampoo and coconut bath salts. And a pet store? You might see raspberry shampoo, banana coat conditioner and watermelon pet candles. While even an aromatherapy neophyte would be able to determine that these products are all synthetically fragranced, the average consumer could easily believe them to be natural because they are scented with something that sounds natural, such as fruit. What the average consumer doesn’t know is that natural fragrance materials do not exist for these scents, and many others. Fragrances such as these are synthetic chemical mixtures known in the toiletries and soap industry as “fragrance oils”. These types of products are pseudo-natural, or false, aromatherapy products. In contrast, a true aromatherapy product is all natural, and contains only aromatic fragrance materials of direct botanical origin. However, even when real essential oils are used, there are still variations in quality that must be considered. The term “holistic aromatherapy” refers to the use of therapeutic grade, pure essential oils in various formulations for a specific healing purpose. Essential oils are obtained through highly labor-intensive processes which extract the vital essence of aromatic plants from the flowers, fruits, sap, seeds or skin of the plant, as well as the bark, leaves, roots, resins or wood of certain trees. These oils are often referred to as the "life force" of plants and contain unique and varied therapeutic properties. Unless a company discloses that they only use pure essential oils, there is a possibility that instead of an aromatherapeutic candle, you are igniting a chemical cocktail that is anything but healthy. Fragrance oils are primarily made from petrochemicals and attempt to duplicate the smell of a specific plant. A 1986 report by the National Academy of Sciences reports that 95 percent of the chemicals used in synthetic fragrances are derived from petroleum and include benzene derivatives, aldehydes and many other known toxins and synthesizers capable of causing cancer, birth defects, central nervous system disorders and allergic reactions. WHY DO CANDLES CONTAIN A SYNTHETIC FRAGRANCE? Synthetic fragrances are manmade so therefore a cheaper option. Must less oil needs to be used creating a much stronger scent which can be hazardous to your health and your pets’ health. There are no aroma therapeutic benefits. ARE SYNTHETIC GRAGRANCES HARMFUL TO MY PET? Even after banning methylene chloride (a known carcinogen that also causes autoimmune disease) in 1989, an EPA study two years later listed the chemical as one of the 20 most common chemicals found in fragrance products. In a 2001 study, the EPA reported that synthetic fragrances were shown to cause "possible mutagenic and genotoxic effects." Synthetic fragrances have also been shown to contain hormone disruptors which are linked to abnormal cell reproduction and may result in tumor growth. Synthetic fragrances are not recommended to use around animals. Soy wax is derived from vegetables, (soy beans), while it's counter partner, paraffin wax is derived from petroleum (a refined a gasoline product). Soy wax is a natural, renewable resource. Soy wax is non-toxic so is environmentally friendly. 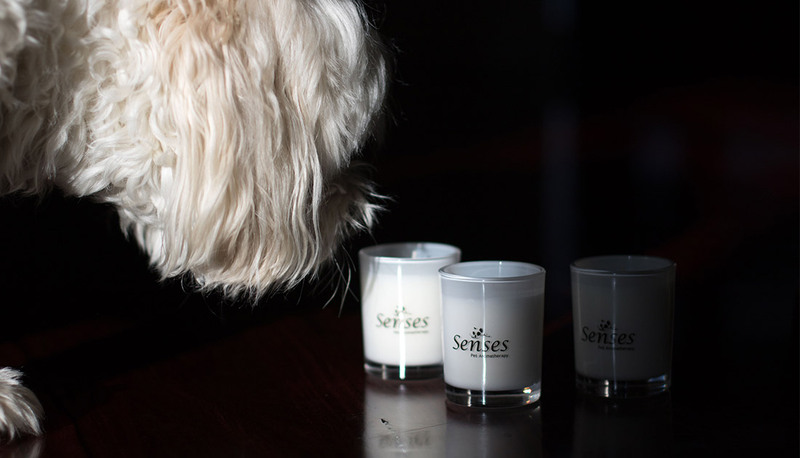 Soy candles hold onto the scent from essential oils, because they burn more slowly, the scent is gradually released. This creates a more pleasant and healthy environment for you and your pets. Soy wax burns with zero petrol soot, creating petro soot free candles. Paraffin candles burn with petro-soot. Petro-soot from paraffin candles gives off the same soot as the exhaust of a diesel engine, and is considered just as dangerous as second hand smoke, causing problems from headaches to lung cancer. Paraffin fumes have been found to cause tumors in the kidneys and liver of lab animals. Most candles, tealights, pillars and novelty candles are made from paraffin. Paraffin candles are made from paraffin wax, a by-product of petroleum refining. The result? A highly toxic (and environmentally unfriendly) product that literally poisons the air you breathe. Paraffin wax starts as the sludge at the bottom of the barrel of crude oil. The black sludge, already filled with numerous toxins, undergoes bleaching and treatment by carcinogens benzene and/or toluene. And the chemicals don’t stop there. Chemists mix in toxic concoctions of colors and fragrances to make this waste product marketable and appealing. The end result is an innocent looking candle which releases seven documented toxins –two of which are carcinogenic–when it burns. And toxins aren’t the only problem with burning paraffin candles. Over time, repeatedly burning paraffin candles leaves black soot stains on walls, ceilings, furniture, and curtains. The microscopic soot particles at fault for the cosmetic damage also cause serious health problems. These tiny particles are easily inhaled and get trapped in the deepest part of the lungs, which may cause respiratory irritation.